When I was invited to attend the Humane Society of the United States’ (HSUS) annual Taking Action for Animals (TAFA) conference here in DC this past weekend, I eagerly looked up what lectures were being offered. One session called “Saving Pets” stood out to me (and luckily was on the only day I was able to attend). 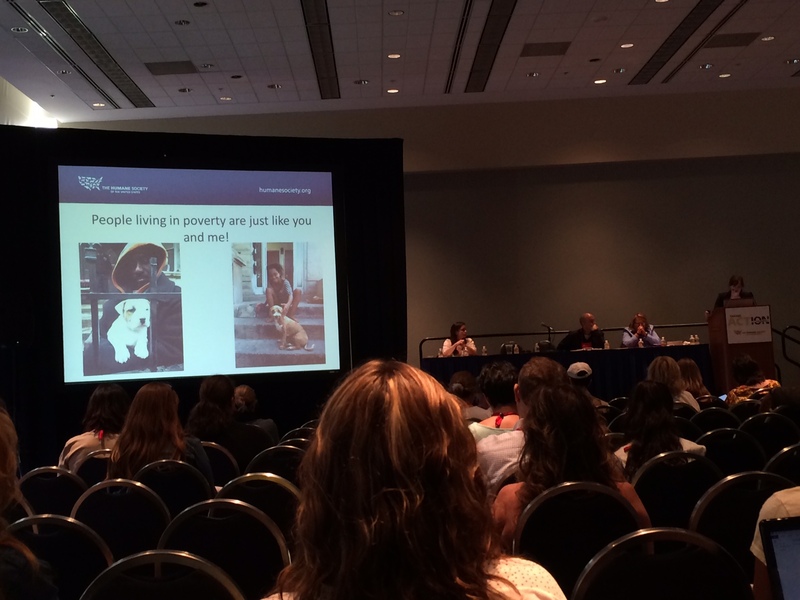 This workshop featured four speakers: one about increasing adoptions in shelters, one about decreasing the number of puppies from puppy mills sold in pet stores, one from HSUS’s Pets for Life program about helping under served pet owners, and one from Coalition to Unchain Dogs, a group that builds fences for dogs who previously lived on a chain. I was impressed with how much of this conference truly revolved around the word “action.” In the “Saving Pets” workshop we were not only told about current welfare issues, but we were also given ways we can take action ourselves. What can I, as your average animal lover, do to help those dogs being bred purely for money? What can I do to increase the quality of life for dogs who need to live outside? What can I do to help people who might not be able to provide for their pets? Of course we can write checks (which is also needed! ), but TAFA gave us some tools to go a step further. Leave your judgements at the door. I’m serious. All of them. Every single assumption you want to make about someone, all those stereotypes you believe in even if you swear up and down that you don’t – get rid of them. You will help more animals. I’m not saying it’s easy, in fact many times it can be quite the opposite – but when you go into a situation with your guard down and with no judgements, enormous changes can be made. That person might not take care of their pet the way that you do, but you sure as heck better realize that they love them just the same. Us having the mentality, “If they can’t afford to take it to the vet, they shouldn’t have it,” isn’t going to change anything about the situation at hand. So move on and start figuring out how you can help. Relationship building is the most important task on your to-do list. Helping animals usually starts with helping their owners, and a lot of times the best way to get through to someone is to have a relationship with them. Relationships build trust and break down walls. Dolly’s Foundation is an amazing organization that offers owner support in Florida, and they report that it can sometimes take months before someone agrees to get their pet spayed. Dolly’s goes in judgement-free (ding ding ding!) and takes what little victories they can get, all the while building the relationship. It is important to have the core belief that people love their pets. As Neya Warren of Coalition to Unchain Dogs said in her presentation, “A lack of resources does not equate to a lack of love.” Believing that people want the best for their pets – whether they can provide that or not – makes it that much easier to shed judgements and start helping. Ask open-ended questions. This is a tool I recently learned that I now use in all aspects of my life, but especially when doing application reviews with potential adopters. If you ask someone a yes or no question, it almost immediately removes an opportunity for discussion. Plus, you sort of make it seem like there is a right or wrong answer. Open-ended questions are amazing at getting people to open up and feel comfortable – plus it makes for a much more productive, two-sided conversation. We’ve all been there where we feel like we’re talking at someone. Open-ended questions put it on the other person to do some talking which, when working to help them or their pets, can be very important! Nothing beats face-to-face interactions. I suppose I already covered this in the previous points, but the folks who make a huge difference are the ones who have their feet on the ground and who are out there meeting with the people who need their help. Facebook, tabling events, flyers, etc. are great, but they’re not going to get the job done. Laurie Maxwell from Pets for Life made the point that we have to get rid of the, “If you build it, they will come,” mentality. Most of the time it is knocking on doors that is needed most. It’s volunteers in the neighborhoods. It’s that face-to-face conversation and relationship building. It’s meeting them where they are. Those points are just a few snippets of the expertise from this workshop. I jotted down some phrases that came to mind as I listened to the presentations – concepts that came up over and over again – and the list included: feet on the ground, face-to-face, benefits everyone, non-judgmental, inspiring, conversation, dignity, listening, respect, open mind – and more. Do you see a common theme here? It’s time to start realizing that action for animals – especially those in shelters or who might end up in shelters – means action for people as well. 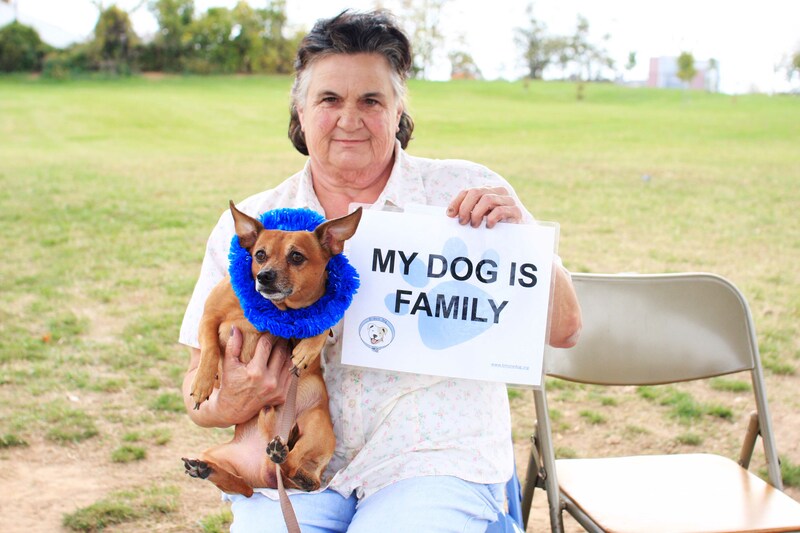 For more information about how you can help the people, and therefore the pets, in your community, check out HSUS’s Pets for Life program, including their extensive toolkit. 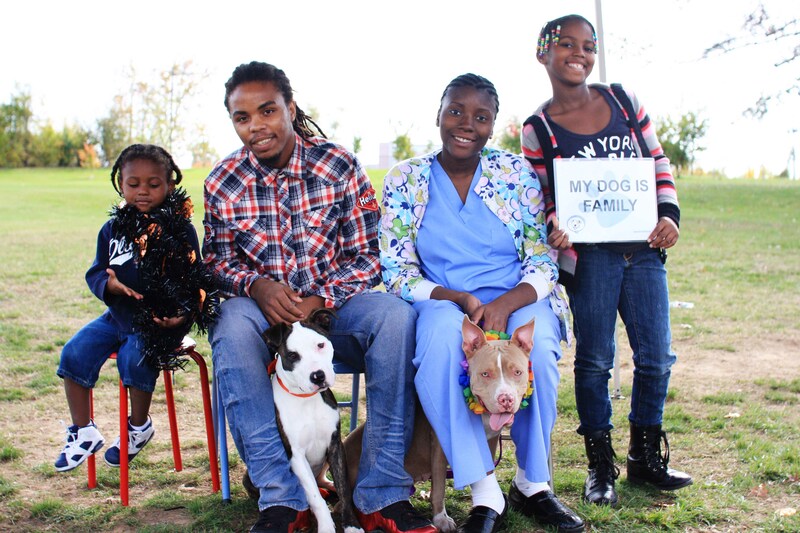 I recommend you see if there are existing organizations in your community, like Ruff Riders in New York City, who are already working to keep pets with their families. If you prefer a different route for helping animals, I still encourage you to keep these “action” points in mind when you are working with pet owners, potential adopters, whoever. A little open mind goes a long way. P.S. 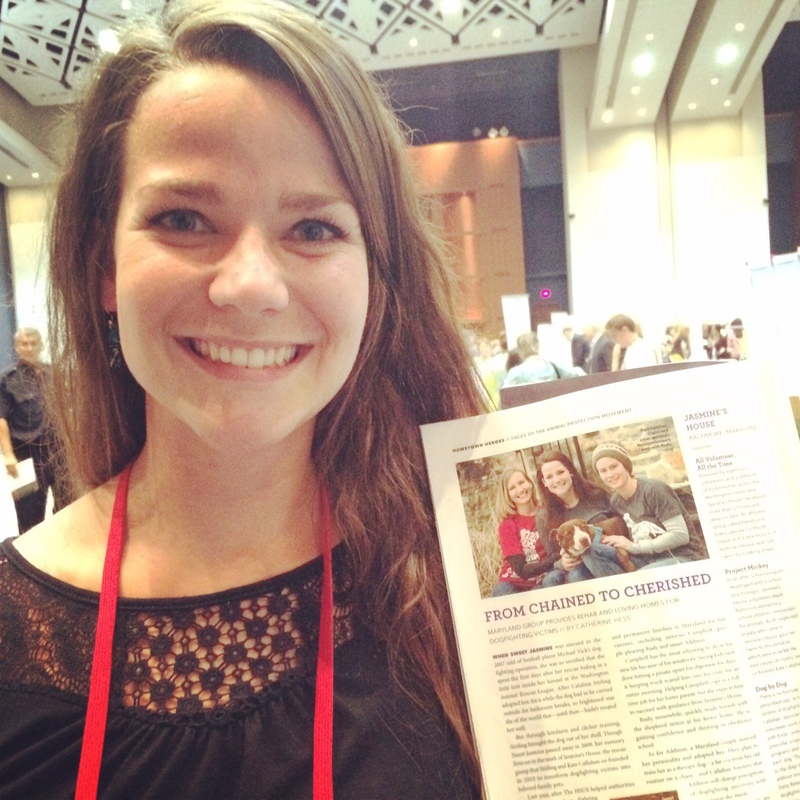 – Check out who made it into HSUS’s All Animals Magazine! This entry was posted in Cat talk, Dog talk, Photography, Rescue/Humane Society, Uncategorized and tagged action, advocacy, animal welfare, beyond breed, coalition to unchain dogs, Dogs of New York, hsus, humane society of the united states, pets for life, Ruff Riders NYC, TAFA14, taking action for animals. Bookmark the permalink. 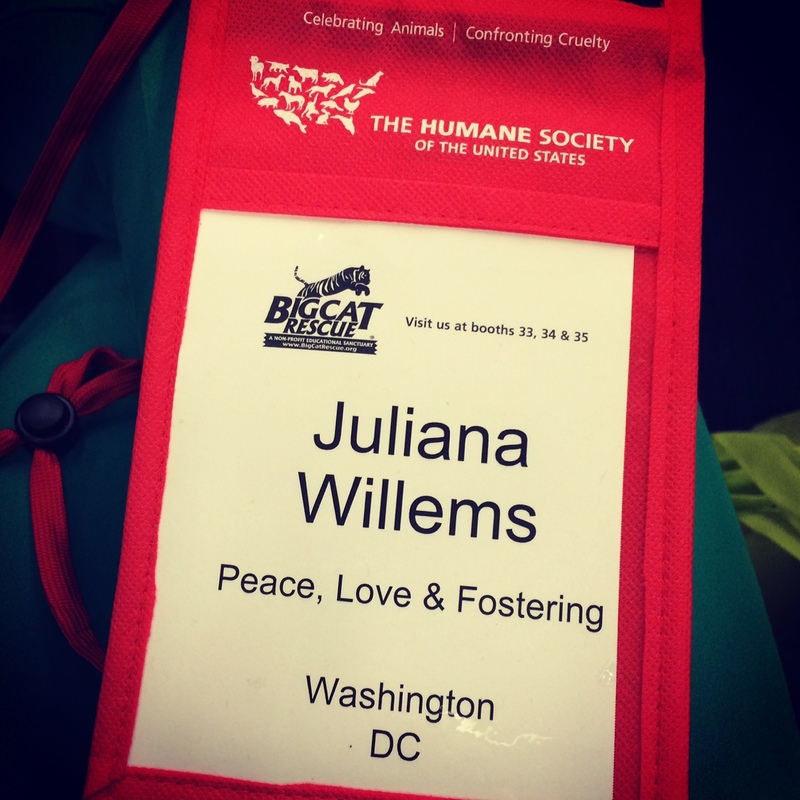 Our shelter director recently went to the HSUS conferece in Florida and came back with the same info. I am so excited to start helping with Pets for Life in our community. Our shelter is in an area of town where we can really effect a lot of change. Slowly. In fact this is where I “found” Julius, who I am (usually) very careful to say was not an abused dog. Sure, I “rescued” him from life as possibly a back yard breeder but I still see his previous owners who I’ve shared pictures with. And the best part is they’ve had Julius’ mom spayed! woot! I was at TAFA this weekend too, and this is a great write-up of many of the key take-away points. Whether it’s helping pets in low-income families, encouraging people to participate in Meatless Mondays, helping people internationally handle their street dog problems in a humane way, or sharing information about where rhino horn and ivory really come from, we can all use a more open, judgement-free approach, where we take the time to understand why people do what they do, and how we can work with them to change. HSUS, I’m proud to be on the state council. What an excellent write up. Might I add two more things that people can actually do to make a difference? 1) Find a local rescue group and donate to them. Time and money are both equally valuable. Use your skills to help the animals by taking pictures, fostering, training, blogging, transporting, fundraising, ect. That’s a great way to be able to see the faces your helping. 2) Show people instead of telling them. No one wants to hear they are doing something wrong, but showing them an alternative can really open up their eyes. Is there any way to access Conference recap online? Hear, hear, for sharing excellent information from the heart and with action. A new organizer for a sorority which volunteered off and on for my sanctuary contacted me about regular, weekly volunteer hours this fall. Hooray! Just an hour a week or two weeks makes such a difference to dogs and cats. I’ll read this again and then share. So much good information! Thank you.